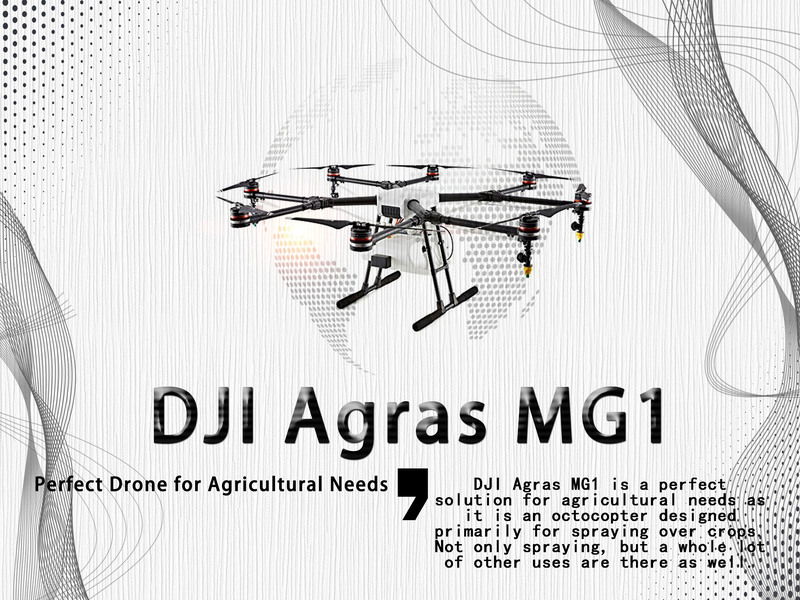 DJI Agras MG1 is one of the most sought-after agricultural drones for spraying and other allied purposes. 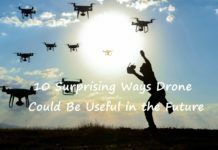 As more awareness builds up in this sector, the demand for this drone is only going to scale up in the coming days. DJI Agras MG1 is a perfect solution for agricultural needs as it is an octocopter designed primarily for spraying over crops. Not only spraying, but a whole lot of other uses are there as well. Innovation in the agricultural sector has ensured that people can get more advanced equipment for boosting the farm output. The MG1 has been designed as per precision variable rate application for pesticides, herbicides, and fertilizers thereby helping to achieve renewed levels of manageability and efficiency in the farming sector. 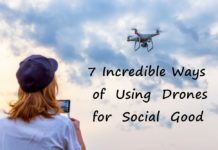 The DJI Agras MG1 is a drone that is capable of covering a huge distance within a very short span of time so that time and resources can be saved optimally and yet results can pour in much quicker than any other conventional process. The sophisticated propulsion system of the MG1 allows it to carry at least a liquid equivalent load of 10 kg, that may consist of fertilizer and pesticides. It is a combination of lightning speed coupled with brute power that helps it in covering large distances within a short time span. 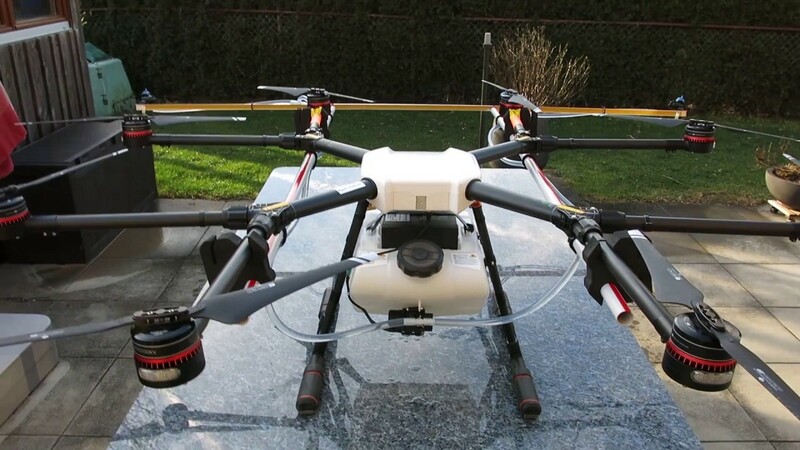 It also has an intelligent and smart spraying system which can adjust itself as per the speed of flight and an even spraying can be done by it. When spraying is done using it, an equal and regulated amount of fertilizer or pesticide can be sprayed to avoid any sort of spillage, pollution or any other type of loss. Using this octocopter, a user can sufficiently plan operations, keep a watch over the drone operating status and manage the flight in real time in the most optimal way possible. 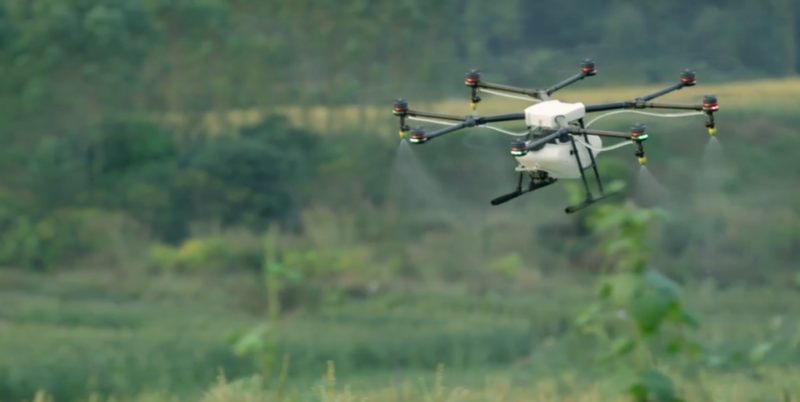 It is a high-performance drone that is capable of delivering comprehensive solutions to agricultural issues. This is due to the fact that a number of cutting-edge technologies have been integrated into the device to provide enough reliability during a flight. 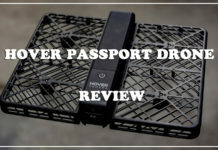 We take a look here at some of the outstanding features that have helped it to be one of the most desired drones in its class. 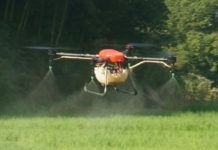 The powerful pressure system of the aircraft makes it possible to lift a load of at least 10 kg equivalent of liquid weight, including all types of fertilizers, herbicides, pesticides or any other spraying need. It is a superb combination of power and speed due to which an approximate area of about 4,000 – 6,000 square meters can easily be sprayed and covered within, say 10 minutes or so. What it effectively means is that within an hour or so, at least 7 to 10 acres of farmland can easily be covered without any problem. This is a huge improvement over any type of manual spraying technique because it is about 40 – 60 times faster than it and hence the result can be far-reaching too. 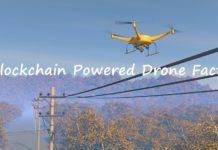 The best part in all of it is that the spray can be done uniformly over an area and the spraying rate can be adjusted as per the speed of flight of the drone. Therefore, you can be sure of getting an even spray throughout a farm within a very short time. The uniformity of spraying can further help to ensure that crop development takes place in the best possible manner and any types of loss due to fungus, weed or pest can be eliminated significantly. In any plant protection related operation, there can be many types of equipment for the process. Now, since it is basically an outdoor activity, the equipment is prone to outside weather all the time and hence, these can be susceptible to corrosion and dust. One may also have to incur a high maintenance cost on account of this and also the added drawback of shortened lifespan may also be there. All these issues may hinder an operation and therefore, to counter the problems, careful planning has been made with the designing of MG1. 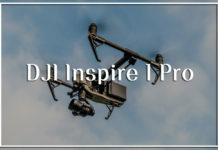 DJI MG1 has been designed with a body that is completely sealed so that unnecessary foreign particles may not penetrate inside it easily and damage the electronic devices. it also has a dynamic built-in centrifugal cooling system that ensures that the equipment does not heat up abruptly. The construction of the unit is such that as the drone flies, the outside air enters the body of the drone through the inlet available at the front side. A triple filter system is there in place to ensure that no debris or dust enters the drone during the flight. The input air then flows through its arms right up to the motor, absorbing heat from all the components and the complete structure before finally dissipating it while leaving the system. This combination of air cooling and filtering is very helpful for the octocopter so that it can increase the lifespan of each motor by at least 3X times. Since it is a natural cooling process, hence there is no need for any external agent or devices for it and that is also a good saving on the complete package. The spraying by MG1 is quite accurate and to the point where it is intended to be. There are different types of nozzles available with the drone and all these nozzles are supplied at the time of purchase. Hence, depending upon a crop type, a particular nozzle can be chosen so that it can work best for that particular type. A spray nozzle can also be selected as per specific liquid, its density, viscosity and any other particular property so that the best spraying can be achieved. The aim of an agriculturalist is always to optimize the amount of sprayed liquid, meeting energy efficiency and correct atomization so that a full area can be covered with considerable ease. It is also to be noted here that the nozzles that are supplied with MG1 are quite sturdy and strong and can be used for a long time without any fear of wear and tear. This is a very important factor because in times of need if it is found that a particular nozzle is damaged, that can be very frustrating on the part of a user. Functionally, there are four nozzles that are situated right below a motor. When the propellers move, they tend to create an air flow so that there is a downward flow generated by it. This downward flow speeds up the spraying process and hence there is a wider reach of the nozzles. The nozzles are interchangeable and so different nozzles can be used for different crops and so on. Flying the MG1 is very easy and comfortable. There is an advanced flight controller that is integrated with the drone. The controller helps in maneuvering and maintaining its stability and also helps in managing the pilot commands precisely. 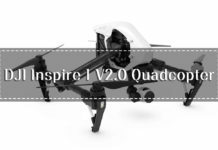 There are three distinct flight modes available that can be used for flying the octocopter – Smart mode, Manual Plus mode, and Manual. These three modes are as per the terrain and the definite needs of each mission. We look at them one by one over here. In the Smart Flying Mode, a complete flight can take place by pressing just a few buttons, without any composite need of terrain-mapping knowledge or the need for any other software. The flight is, more-or-less, automated in nature and you may not have to control it individually for each twist or turn. The availability of this mode is also one of the reasons for the MG1 to be one of the most efficient and convenient spraying solutions in a farmland. 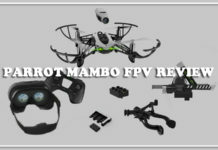 Next comes the Manual Plus Mode in which the same type of turns can be affected as it happens in Smart Flying Mode, except that the turns and twists of the drone can be planned in a more effective manner. Flight in areas that are irregular in shape can be helped by the use of this mode. Therefore, it can be said that this mode is an extension of the Smart Flying Mode. The third and last is the Manual Mode in which the pilot is free to navigate as per choice. A complete area can be covered by a flight flying in this mode by a pilot, only that there should be a good understanding of the equipment and the area over which it is being flown. A dexterous pilot can help with a flight in this mode and spray as per requirement and specific need. 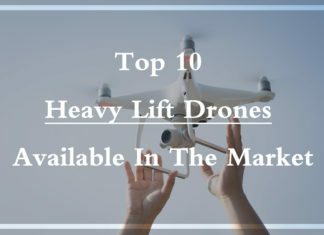 Availability of these three modes of flying can be quite suitable for a variety of applications and a user can easily trust the equipment if there is not much knowledge at the beginning. Gradually, as the level of comfort builds up with the device, more new movements can be added to the repertoire that can be helpful for increasing the farm yield. The MG1 comes with a sophisticated memory that is very helpful in its flight operations. It provides enough options to automatically record all the coordinates over which it has flown successfully. Therefore, all current and past coordinates are recorded by it as it makes its way through a farmland. It also provides enough options to start an interrupted flight from the place where it got stuck. 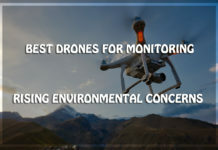 For example, if there is a drained-out battery or unavailability of spraying liquid, then it can easily be grounded and the battery can be swapped and/or spraying liquid can be refilled and the drone can resume its journey from its last known point. It also comes with an intelligent empty-tank signal so that a user can know beforehand if a tank has to be refilled soon. Similarly, many other types of system data are saved in the equipment that may be needed at a later stage. All of this points to the fact that the vehicle has a very sophisticated electronics system that aids the whole operations in a very positive way. 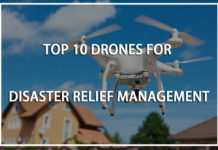 This is one aspect due to which a lot of the drone’s users have been highly benefited as there is no extra cost or resources needed for deploying the vehicle at the required place. 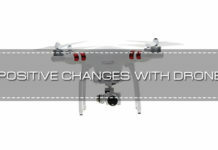 The octocopter has a Y-shaped folding design that helps in its installation without the need of any additional device. The construction is such that the motor arms of the drone can be folded inwards. The complete unit has a dimension of 780mm X 780mm X 482mm when it is completely folded. Therefore, it has a very compact and easy design making it suitable and handy for transporting it in the trunk of a car or any other vehicle. 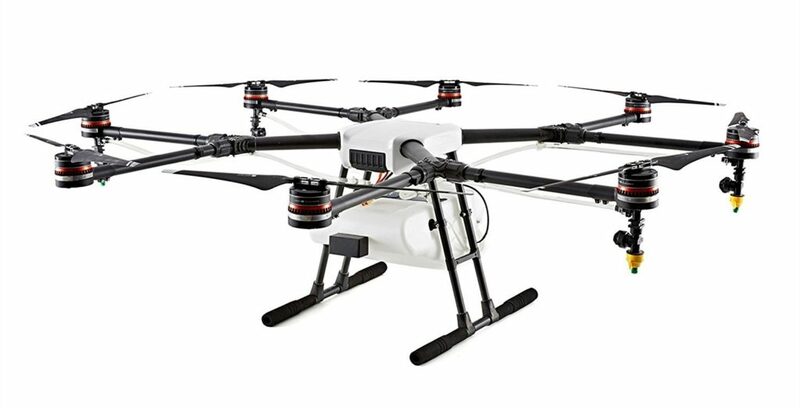 The body of the octocopter is made from lightweight, high-strength and durable carbon fiber and hence it is able to withstand sufficient mechanical shocks and harsh weather conditions, enabling it to be used in a wide range of applications. The DJI Agras MG1 is a very smart drone as far as agricultural options are concerned. The flight control system of the octocopter also involves a microwave radar in it that is very helpful to scan the area below it in real time and all data can be visualized by the user to get a complete understanding. A constant, deep insight can be developed by looking at the data and pictures that are just taken from a centimeter-accurate height above the crop heads. The most important part is related to the way spraying is done by the drone. This is also known as the spray density and is referred to as the spray being uniformly spread over a whole area. 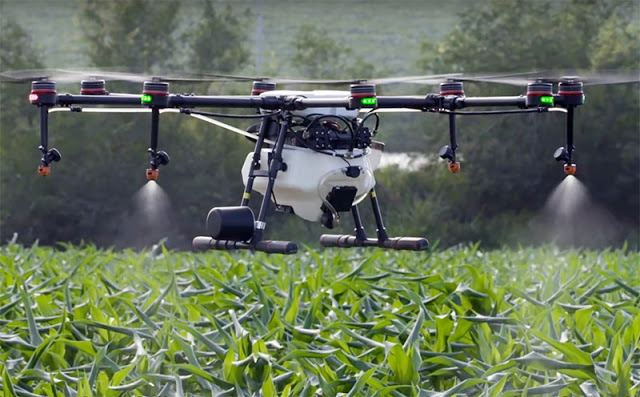 The octocopter, with the use of its high-end electronics, scans the whole area and ensures that sufficient amount of liquid gets sprayed over a farmland irrespective of the terrain below it. 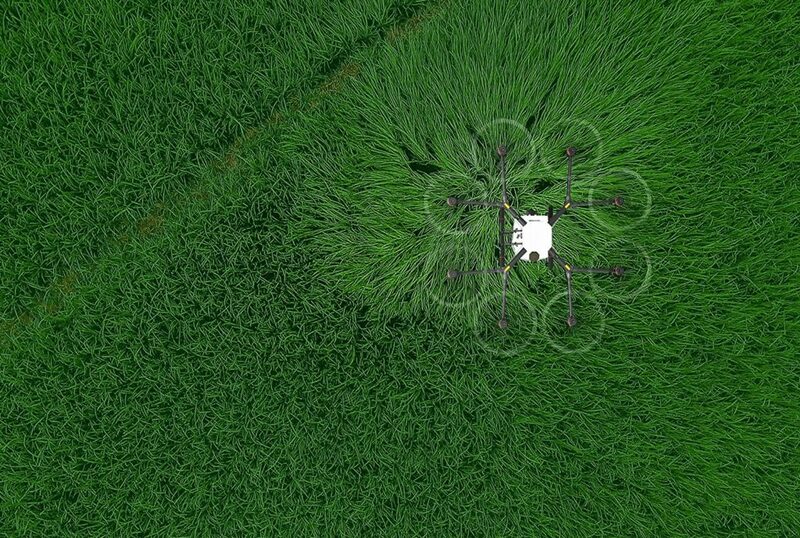 If the ground below has irregular contours, then the drone is able to negate this anomaly and can help in ensuring that same amount of liquid is sprayed over the complete area at all times for getting a fruitful result. The MG1 has a dedicated and smart remote controller for the purpose. It can help in controlling the flight operations of the drone with greater stability and increased precision. The remote controller is loaded with the state-of-the-art Lightbridge 2 transmission system that allows ultra-low-latency controls in the operation. Just like the drone’s body, the remote controller is also dust and water resistant that is quite helpful for many types of users. 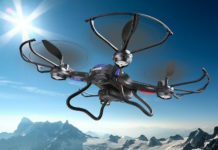 Real-time flight information can be availed through its special low-energy display panel and once the drone is fully charged, it can stay on for a fairly long period of time. There is an empty tank warning signal on the controller that can help in understanding the liquid level and take the needed steps accordingly. Liquid spraying speed and flying height can also be monitored and controlled using the controller. The drone flight speed is also visible and controllable using the remote control. Overall, with the impressive function keys and superbly operating joysticks, understanding and picking up the work of agricultural spraying can never be easier than using the MG1 remote controller! It is the best in its class. Some of the flight parameters of the drone must be shared here for a better understanding. It is very important to note here that the complete weight of the drone is 8.8 kg and the standard takeoff weight is 22.5 kg. This, in itself, speaks volumes of the aircraft’s capabilities. Moreover, the maximum takeoff weight is 24.5 kg (at the sea-level). For a complete understanding, the maximum thrust-weight ratio should also be known and that stands at 1.81, taking 22.5 kg as the takeoff weight. The drone uses a DJI designated battery (MG-12000) to meet all its power needs. 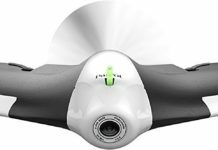 The maximum power consumption by the drone stands at 6400 watts and the hovering power consumption with a 22.5kg takeoff weight stands at 3250 watts. 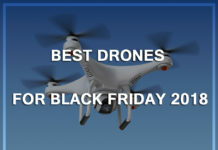 It is also important to mention here the hovering time and that can be a very important parameter for many enthusiasts. 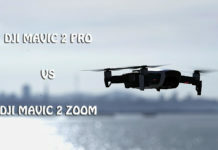 The hovering time of the drone with a 12.5 kg takeoff weight is 24 minutes whereas, with a 22.5 kg takeoff weight, the same stands at 10 minutes. 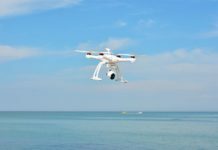 It also has a maximum operating speed of 8 meters per second and the recommended operating temperature for the drone is between 0 and 40 degrees Celsius. 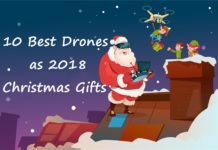 All the important flight descriptions have been listed here and it can provide a fairly good idea for the kind of flight conditions that can be expected from this octocopter. 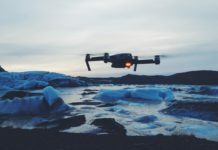 The specifications point to the fact that the drone is highly adaptive in nature and as has been already mentioned, it can be used for a variety of usages. Therefore, the DJI Agras MG1 is one of the most sought-after agricultural drones for spraying and other allied purposes. 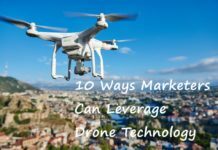 As more awareness builds up in this sector, the demand for this drone is only going to scale up in the coming days.